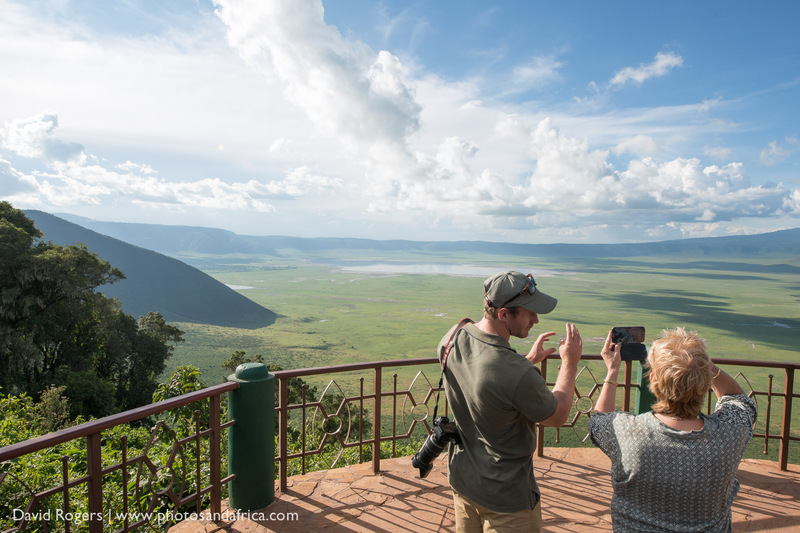 There is no overnight accommodation within the Ngorongoro Crater itself, so staying on its rim gives photographers the best access to descend onto the crater’s floor for the day to take in the incredible landscape with prolific wildlife. 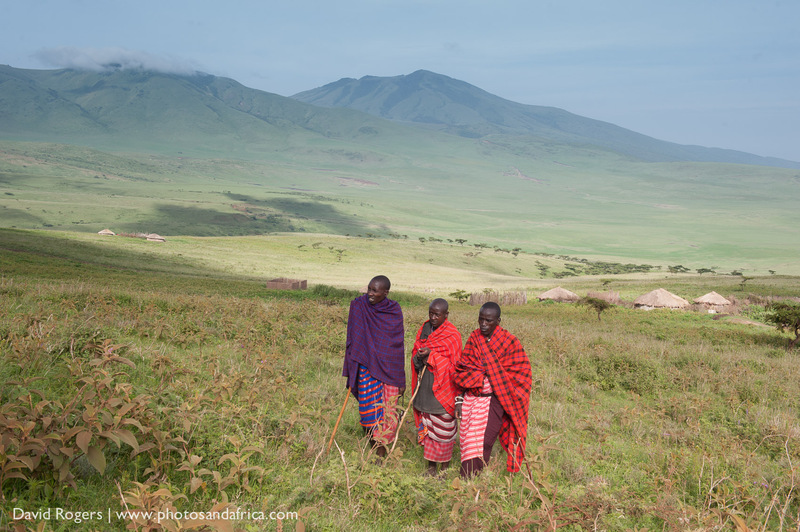 The Ngorongoro Crater Lodge offers spectacular views and access to Maasai culture. The ornately decorated, award-winning lodge caters to a maximum of 60 guests in 30 suites divided among three camps. The style of the baroque chateau is “Versailles meets Maasai”, featuring brocade sofas, gilt mirrors and beaded chandeliers. 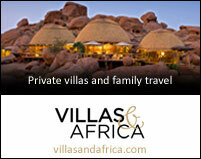 Rooms feature en-suite bathrooms, fireplaces, private butler service and crater views through floor-to-ceiling windows. Each of the three camps has its own dining and sitting areas and there is a shop selling local crafts. 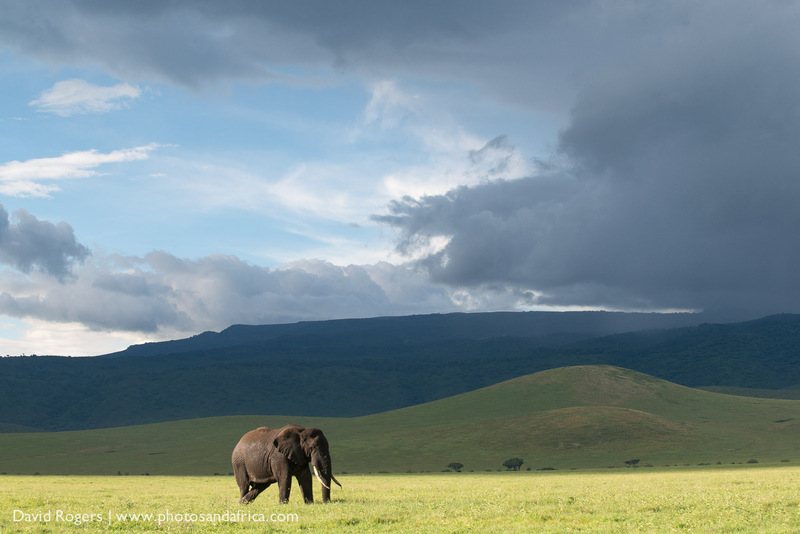 The lodge sits on the rim of the Ngorongoro Crater, world renowned for incredible wildlife. The crater has large herds of resident wildebeest and zebra as well as black rhino, lion, golden and black-backed jackal, spotted hyena, serval, buffalo, and gazelle. Cheetah and leopard are encountered occasionally. Grassy plains, a soda lake (Magadi), and fever tree forest are the main habitats of the crater floor. There are impressively large elephants. 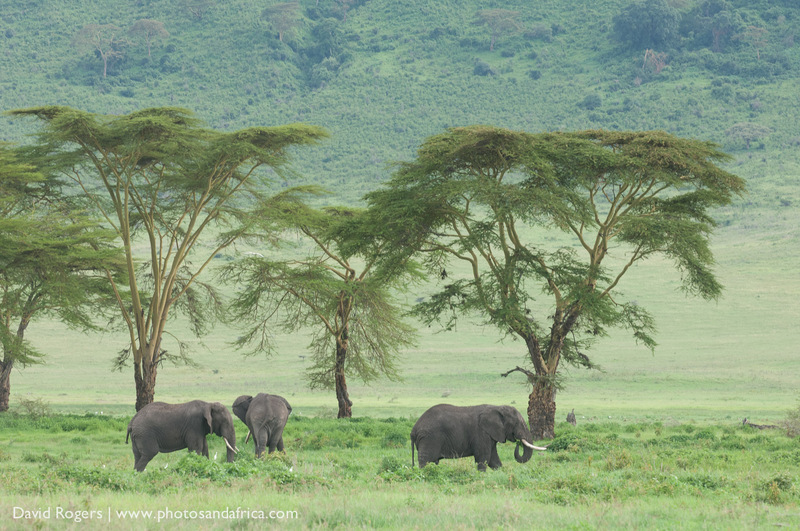 These giant tuskers occasionally make their way up the crater walls to visit the lodge, as do buffalo. 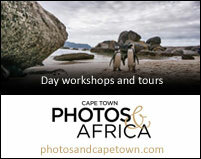 Notable birds in the area are ostrich, kori bustard and the lesser and greater flamingo. 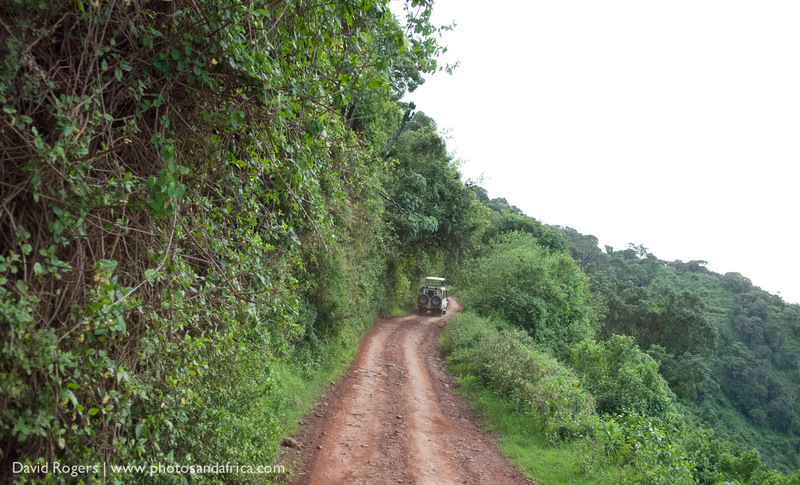 Ngorongoro is a year round destination. 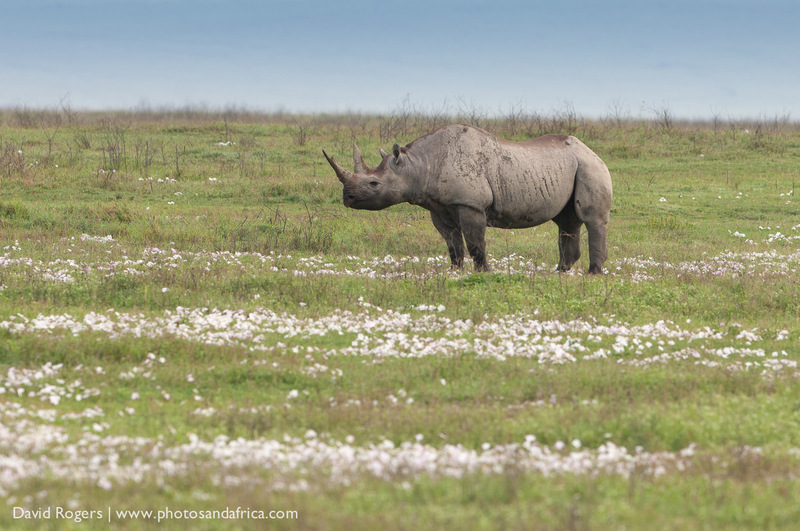 June to October is peak season and perfect for game viewing because there is little rain and the vegetation is sparser. The wet season from November to May brings migrant birds and new born animals. The wildebeest have calves from February to March. Crowds are less from April to May. Wildflowers bloom in autumn. 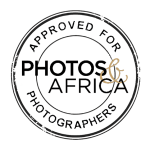 Contact Photos and Africa for guides, great rates and tours. 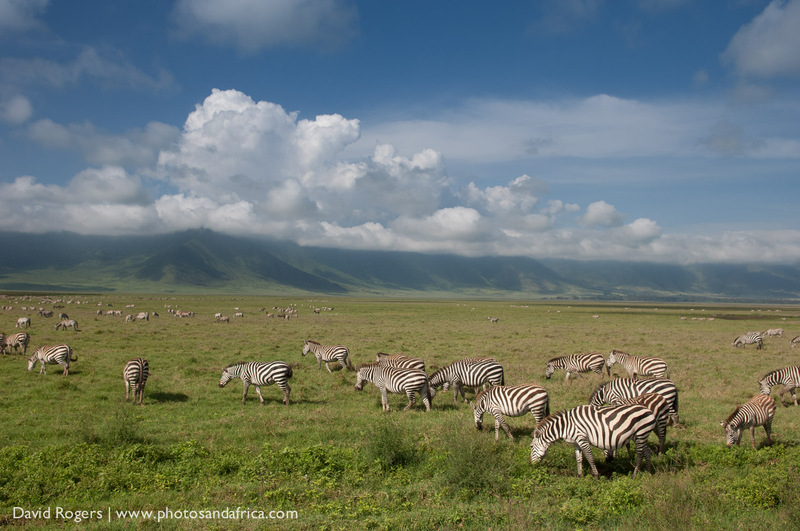 Access to the Ngorongoro Crater is strictly controlled–visitors pay by the day for just six hours on the crater floor. The high costs don’t deter the crowds, and due to the limited size of the crater, other vehicles are almost always within sight. 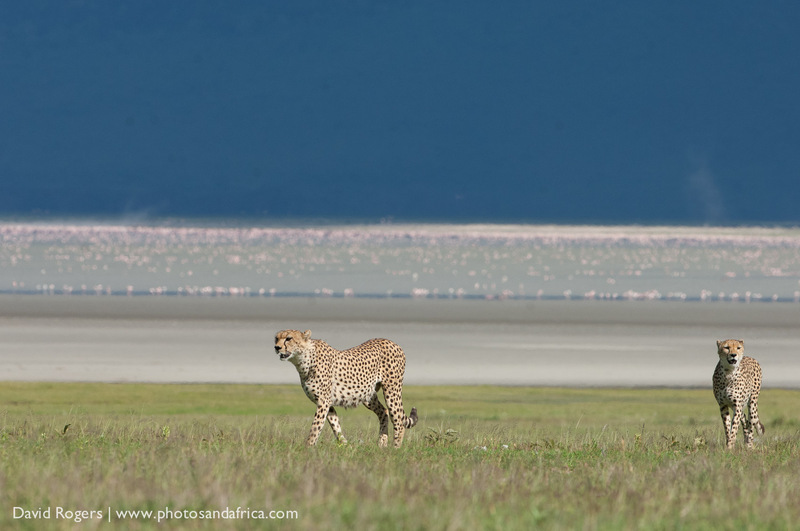 Still, Ngorongoro is not to be missed on a northern Tanzania safari. 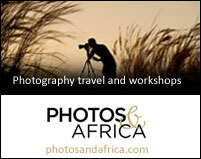 Ngorongoro Crater Lodge is part of the &Beyond portfolio. They have a good reputation for making camps as sustainable as possible and for supporting conservation and community projects.